Jared Unzipped: A Brief History Of The Mercury Dime. When it comes to collecting coins, the Mercury Dime is by far my favorite. As strange as this may seem, I find it to be the most beautiful of all coins. This graceful ten cent denomination is simple in design, yet delightful with a classical sense of elegance. In my mind, the Mercury Dime is an absolute wonder to behold. I cherish them more than any of the other American coins in my collection. Best of all, we get to celebrate the 100th anniversary of the Mercury Dime in 2016. The Mercury Dime, despite its name, does not depict the Roman God Mercury at all. The obverse of the dime bears the image of Winged Liberty, a personification of Lady Liberty herself. Atop her head rest two large wings attached to a pileus cap. As such, many people incorrectly assumed upon release that the depiction is of the Roman god Mercury, whom wears a similar hat with wings. Notwithstanding the numerous attempts by newspapers, numismatic and artistic publications of the time to push the Winged Liberty name, the Mercury label stuck. The reverse of the coin shows a fasces, which is a bundle of wooden rods lashed to a battle axe. The fasces is another callback to Roman culture, in which it represented the power of a magistrate. Its symbolism evokes the notion of strength through unity. Accompanying the fasces is a large olive branch, the embodiment of peace. Sculptor Adolph Weinman was the creator of the Mercury Dime's design. 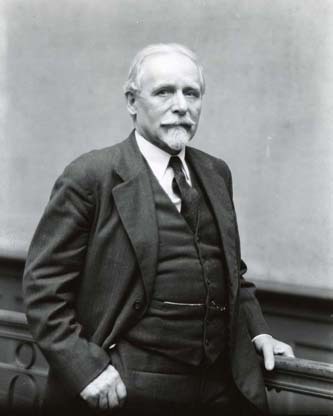 He submitted his design in February of 1916 (of which he also turned in a successfully accepted design for the half dollar). By September, the first batches of Mercury Dimes were provided to a handful of testing companies, chiefly pay phone and vending machine manufacturers. This was to ensure that the dimes would function in their machines. A few of the companies stated that the dimes wouldn't fit into coin slots correctly, so a slight modification was made. Along with the relief being lowered, the letters of LIBERTY on the obverse were spaced slightly farther from the edge of the coin. These changes did just the trick and the Mercury Dime went into full production by October. The first coins were sold to the public on October 30, 1916. Weinman's initials can be found on the obverse of the coin, to the right of Winged Liberty's face. To identify which Mint a Mercury Dime was made, check for a letter to the right of the word ONE on the reverse of the coin. The letter 'S' signifies the San Francisco Mint; 'D' represents the Denver Mint. No letter means the coin was struck at the Philadelphia Mint. Along with many other coins of the era, the Mercury Dime has a high silver content. It is a mixture of 90% silver and 10% copper. Accordingly, Mercury Dimes are worth more than face value. Your average, plentifully-minted Mercury Dime found in decent, circulated condition is worth anywhere between two and five dollars on the aftermarket. As the value of silver rises and falls, so too does the value of the Mercury Dime. Between the years 1916 and 1945, a total of 2,677,232,488 Mercury Dimes were struck. They were in circulation during both World Wars. Of note, some years of production are quite scarce. 1916-D: Only 264,000 Mercury Dimes were produced at the Denver Mint in this year. This was in due part to a large order for quarters, which Denver produced in mass quantities on through 1917. 1921: With an economic downturn in the United States, the government produced many less coins during this year due to lack of demand. 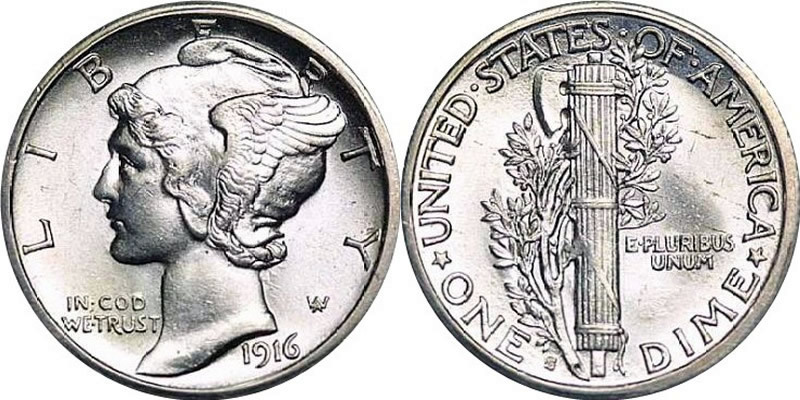 In fact, no dimes at all were minted in 1922! Just over two million dimes were made in 1921 before taking the year-long break. 1930-1931: During the Great Depression, demand for coins again dipped dramatically. 1932 and 1933 saw a hiatus on dime production. Less than fifteen million Mercury Dimes were made in 1930-31. In 1945, President Franklin Roosevelt passed away. A demand for his image to grace a coin lead to his face being placed on the dime in 1946. The dime was selected because of Roosevelt's deep connection to the March of Dimes campaign. With that, production of the Mercury Dime saw its end. The next time you're flipping through some pocket change, check and see if you can find a Mercury Dime. Though scarcely found in circulation today, they do occasionally pop up from time to time. Trust me, you'll enjoy this beautiful coin just as much as I do.